...... programs that apply data to improve performance and prevent injuries and in 1999 he began working closely with the American Sports Medicine Institute. Craig has continued his quest to teach the importance of over-hand throwing & pitching efficiency to players at all levels. Craig's decades of experience and research of motion efficiency and data driven injury programming has gained him world wide recognition. Craig is now an important asset for Orthopedic Surgeons and Physical Therapists regarding Re-Hab & Pre-Hab protocols for athletes. 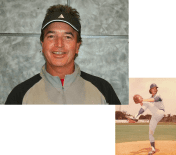 Years of studying movement on video and instructing thousands of bullpens with players from the age of 8 to major league pitchers is what gives Craig a unique, unmatched teaching perspective. Craig is particularly proud of his involvement in the placement of over 250 pitchers into professional baseball and college as student athletes. TESTED & PROVEN: For the past 21 years Craig has collected various baseball-centric strength & flexibility measurements in order to establish safe motion principles relative to overhand throwing. Testing from tens of thousands of baseball players & multi-sport athletes has resulted in the accumulation of over 500,000 units of data. Providing a valuable foundation in the research of efficient overhand motion. Using these baselines we can now identify specific tendencies for each competative level. Removing the guess work we are now able to train and develop athletes within an individualized program. "The PipSystems Baseball Evaulation (PBE) has been designed to identify baseball specific strengths and weaknesses to reduce the risk of injury while optimizing each player's opportunity to perform at a higher level. Through the years I have seen inefficient 12U throwing motions result in "little league elbow" and when not addressed develop into teenage UCL surgery. It saddens me to see a player competing in pain or wearing an elbow brace when simple formative-years awareness and attention to detail relative to an efficient motion could have avoided a serious over-hand throwing arm injury"
It is time to apply physics & simple data driven principles of efficiency to reduce the risk of injuries for overhand motion athletes and increase their enjoyment thru a higher level of velocity & command effortlessly. .... committed to Tulane University in New Orleans as a 3rd baseman. He then transferred to the University of Tampa contributing to the team's 2013 NCAA National Baseball Championship & graduating in 2014 with honors & a double major in marine science and biology. 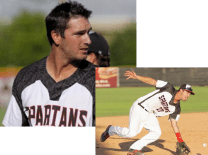 His collegiate summer baseball career included a Championship with the Matsu Miners in Alaska, followed by The Cooperstown Hawkeyes in NY and the Vienna River Dogs of the Cal Ripken Summer Collegiate League as the league's all-star 1st baseman. He then continued his professional baseball career competing as a 1st & 3rd baseman in 4 different countries including the United States, Cuba, Australia and Italy. Quinn hit a combined .360 average during his 2 professional seasons in Italy & Australia, hitting 17 homeruns and 75 RBI. In 2016 Quinn began his off season training to become a professional pitcher and in the spring of 2017 he pitched with the Normal Cornbelters of the Frontier League. Quinn later signed a contract with the San Rafael Pacifics in the Pacific Association of Professional Baseball Clubs in California and in 2018 won The Pacific League Championship. Having pitched well over 100 professional innings and logging over 250 professional AB's gives Quinn extensive knowledge of the game from both the batter's box and from the mound. With 20+ years of playing and teaching experience makes Quinn the pillar of our professional training staff, providing players of all ages the ability to maximize their baseball skill, building confidence and reduce their risk of injury. The addition of his 2018 Strength and Flexibility Video Catalogue plus his 2019 TRX Baseball Specific Certification is groundbreaking in delivering superior baseball training. .... baseball at Frederick CC as a 2 way player. 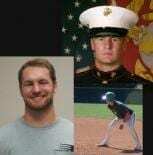 His baseball season ended with an elbow injury at which time James joined the U.S. Marine Corps. He competed on the U.S.M.C. Football Team at Camp Pendleton, CA before being deployed to Afghanistan and serving in the artillery division until May 2012 where he completed his service as a Corporal (E4). We are very proud to have James on our baseball staff both as a veteran and an overall baseball instructor having amassed over 5200 hitting, pitching, camps, clinics and strengthening workouts. James is committed to individual excellence while teaching players the importance of athleticism to increase performance. We appreciate his service to our country and his commitment to give back to the community where he grew up. .... Warhawks weekday batting practice pitcher while continuing his role as starting varsity catcher. 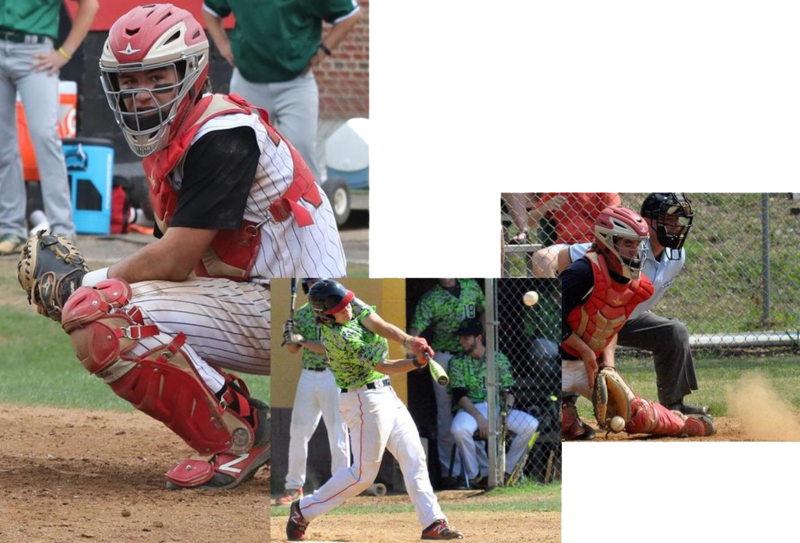 In the summer of 2017 he played for Vienna Post 180 where he had a team leading .463 batting average. Graduating from Madison Matty attended Hood College in Frederick, Maryland catching for the Blazers in the fall of 2017.